A condition that causes life-threatening heart damage is quietly taking the lives of Americans, and less than 1% of all consumers who are infected are being treated for it. Chagas disease, called the “silent killer” by researchers, affects nearly 300,000 people in the U.S., according to estimates from the Centers for Disease Control and Prevention (CDC). It is caused by a parasite called the triatomine bug, which can be found throughout North, South, and Central America. Around 30% of those who are infected go on to develop serious cardiac, digestive, and neurological disorders, and a recent study suggests that prevention efforts need to be stepped up to deal with the threat. "Without treatment many Chagas patients are at risk of a ‘silent death’ due to heart failure. 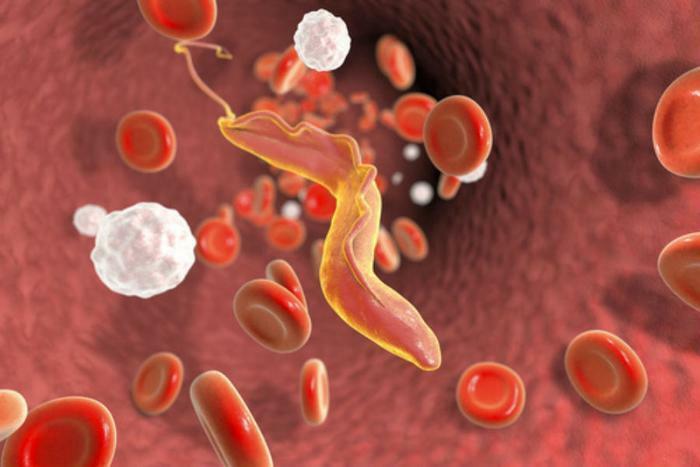 Our study ... underscores the critical importance of early detection and treatment to tackle this public health challenge in the US," said lead author Dr. Sheba Meymandi, director of the Center of Excellence for Chagas Disease at Olive View-UCLA Medical Center. The study examined 4,755 Latin American-born residents of Los Angeles County to see how pervasive Chagas disease is in a select population; the disease is one of the leading causes of heart disease in Latin America. The researchers found that 1.24% of the participants tested positive for the condition. Although the tests were focused on Latin American-born residents in a specific area, Meymandi and her colleagues believe that as many as 30,000 people may be infected in the greater Los Angeles area, which corroborates findings from the CDC which estimates that 300,000 people are infected nationwide. The team cites the need for further research to determine exactly how pervasive the disease is in certain areas of the country. "The bugs that transmit Chagas disease live in 27 states -- the whole southern half of the country, and we know they sometimes infect people, but we need further research to determine how often this takes place," said researcher Colin Forsyth. Beyond the United States, statistics for Chagas disease are no less unsettling. Experts estimate that there are 5.7 million infected people worldwide, many of which hail from 21 Latin American countries. The CDC says that Chagas disease usually comes with an acute or chronic stage immediately after infection that may last anywhere from a few weeks to several months. However, infections may be mild or asymptomatic and usually include fever and swelling around the site where the parasite entered the skin. In severe cases, inflammation of the heart muscle or the lining around the brain may also be present. Currently, there are two drugs that are known to kill the parasites called benznidazole and nifurtimox. However, despite being available for over 40 years, the researchers say that neither has been registered for use in the U.S. by the Food and Drug Administration (FDA). They believe that providing access to these drugs and developing newer and better treatments will be vital towards curbing incidence rates. The full study has been published in Clinical Infectious Diseases.